With only a short time in PNG, I had to squeeze in two world-class fishing adventures, and this one was in search of my absolute favourite fish – the Barramundi. I’d only ever caught Barramundi, or Lates Calcarifer, in Australia’s Northern Territory so the chance to chase my favourite fish in a foreign country was a sensational opportunity. 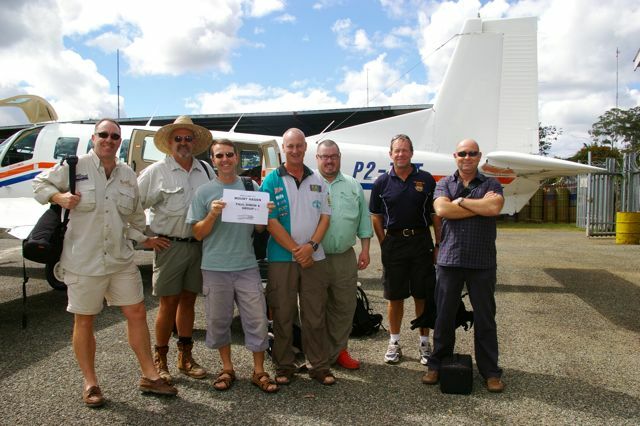 With 7 in the group, we left Port Moresby’s domestic airport and headed for Mt Hagen, in the Highlands of PNG. Greeted by a wall of local faces at the airport, it was a short wait before we boarded our private charter plane, the only way to get to the flood plains of Western Province. The destination was Bensbach Wildlife Lodge, home to wild deer, a myriad of bird life, and most importantly, the mighty Barramundi. 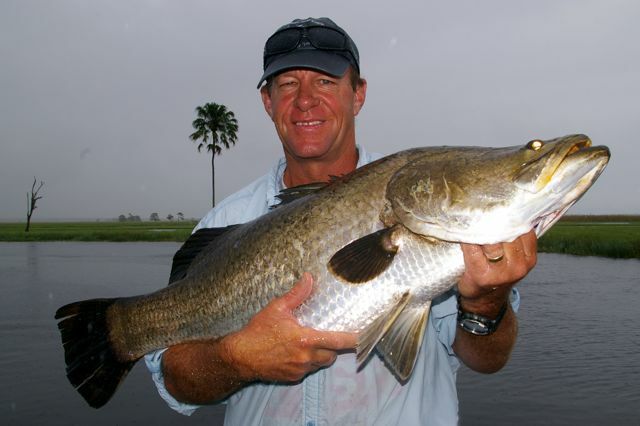 The deal with Bensbach Wildlife Lodge was a 5-day trip with 2 days used for travelling, and 3 days full fishing. 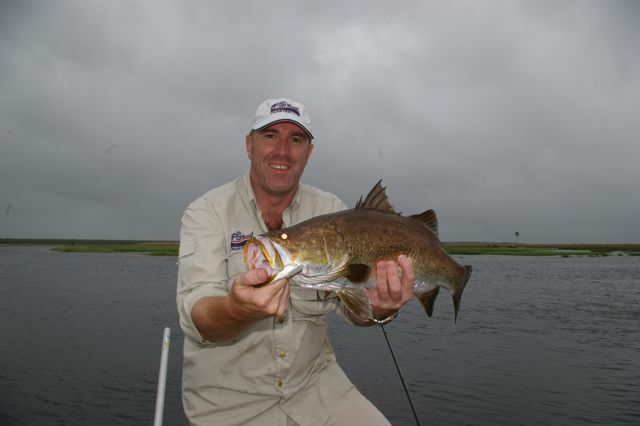 On arrival at the lodge, the guides could sense our enthusiasm and kindly offered us a half-day’s fishing upstream. With a few hours fishing under our belts, just one Barramundi at 57cm, was landed. On initial observations, the water was well up and the flood plains were extraordinarily high for the time of year. The stage was set for a fun but extremely challenging few days fishing. Accommodation at Bensbach Wildlife Lodge is very well appointed with basic rooms containing fans, generator electricity until mid-evening, a spacious dining and recreation area, and local catering staff who produced great meals and service. When you fly into Bensbach, you realise just how remote it is – something to be remembered as you are eating like King’s and enjoying the comforts at the lodge. We established some gentlemanly competitions, biggest fish, and most fish each day. Storied of the one that got away were relayed each night over a cold beer. The Bensbach River if essentially a tributary of the Fly River, one of PNG’s mightiest. If you look at a map of PNG, the kink in the PNG and Indonesian border to the north is actually caused by the border tracking the Fly River. The floodplains were abundant with wild deer, an amazing range of bird life, wild orchids, a range of other fish including the Tarpon, and the old Puk Puk or crocodile. By the end of the trip our group of 7 had boated well over 100 Barramundi. There were 5-6 main spots, all presenting as textbook examples of snags, run-offs and Barra-friendly locations. 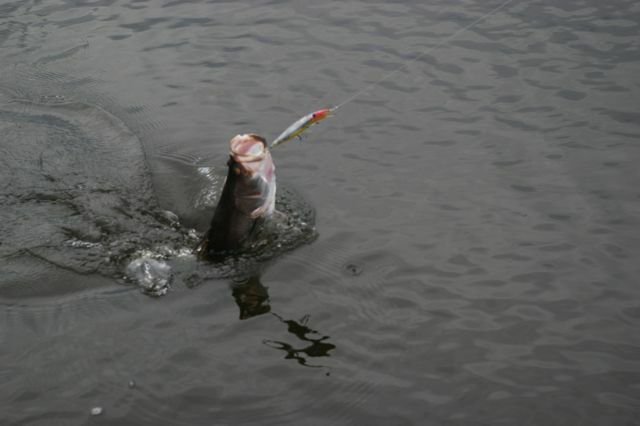 The biggest fish landed was 98cm with plenty of others in the 90’s and 80’s. I stuck to my soft plastic strategy using Squidgy Drop Bears in three sizes (65mm, 110mm and the larger ones). Through using the smaller soft plastics I managed to catch over 30 Tarpon by dropping those lures down behind lilies and snags that hard bodied lures could not reach. It was generally agreed that this was tough fishing by Bensbach standards due to the high water levels, and on that point alone, I’ll be back there at the first available opportunity. If you look at the averages, very few fishless hours were clocked across the combined three boats on our tour. The vessels themselves were pretty basic, due to the uncanny weather we were wet for most of the time, however the Barramundi fishing was awesome. This is not a 5 star trip in terms of comfort, but it is in terms of fishing. 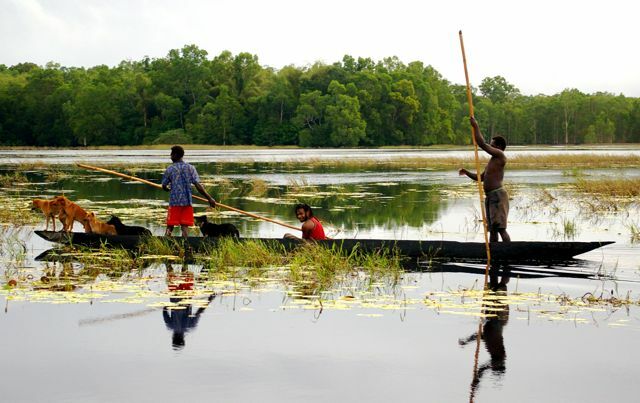 With both Barramundi and Bass now covered, that’s it from Andy in PNG.